Interac e-transfer: Send the e-transfer to James Thompson (jim@ourlittlefarm.ca). As a password when you send us your e-transfer, we recommend that you use your client number from our farm which appears on your invoice (including the “0”) OR that you text us another password (if so, also text us your full client name). Cheque: Please make the cheque to Our Little Farm and include your phone number on it. Mail your cheque to: 829 Rang 4e Ouest, Lochaber-Partie-Ouest, QC, J0X 3B0. 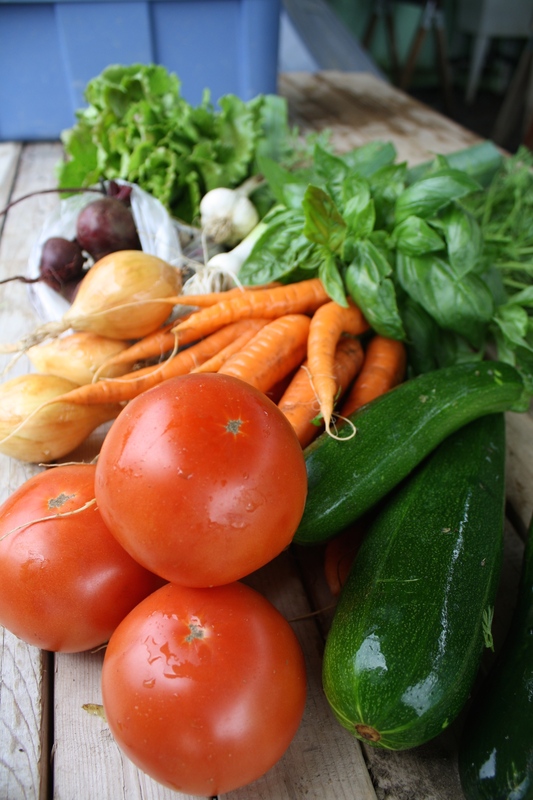 OUR SUMMER CSA BOXES: will run from the week of June 24th to the week of October 9th, 2019. Some bi-weekly members will start one week later. We will contact you in early June to confirm the start-date. OUR FALL CSA BOXES: will run from mid- October to early November 2019. * Summer prices include a mandatory contribution of $ 18 (+ taxes: $ 2.70). This contribution will be forwarded to the Family Farmer Network to provide a variety of services to member farms and make Community Supported Agriculture known to the public. 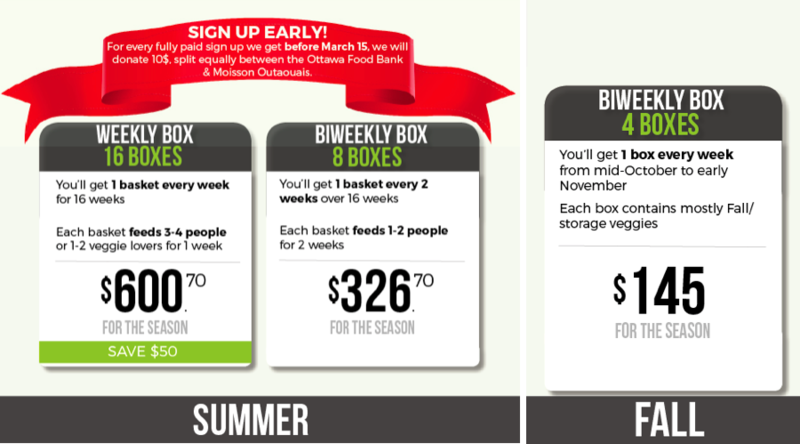 ** If you did not sign up for our 2019 summer box, your Fall 2019 box price will include an additional mandatory contribution of $ 18 (+ taxes: $ 2.70). This contribution will be forwarded to the Family Farmer Network to provide a variety of services to member farms and make Community Supported Agriculture known to the public. Please do your best to arrive at the drop-off before the end of your drop-off time to ensure your products will be at their freshest. You can send someone else to pick up your CSA box. After 9 pm, unclaimed CSA baskets will be donated or composted. Our drop-off hosts do not have the facilities to refrigerate your CSA basket. If you’ve forgotten your CSA box, please contact us ASAP and we will see what we can do. Please do your best to arrive at the drop-off at the time indicated on the sign up form to ensure your products will be at their freshest. You can send someone else to pick up your CSA box. After the end of the drop-off, unclaimed CSA baskets will be donated or composted. Our drop-off hosts do not have the facilities to refrigerate your CSA basket. If you’ve forgotten your CSA box, please contact us ASAP and we will see what we can do. We are quite flexible in terms of vacation and schedule changes. You can make changes yourself to your online calendar (move a box to another date, choose another drop-off location for a delivery, etc.) up to 48 hours before any delivery. Planning a long vacation or you have a last minute change you need to make? Please contact us and we will see how we can best accommodate you.